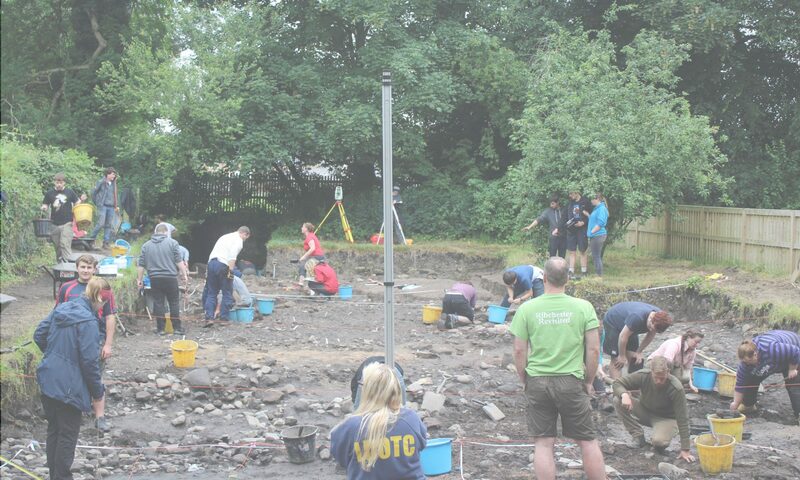 With the 2018 excavation season coming to an end, the fourth and final week at Ribchester has been hectic, and there have been lots of exciting things going on. Drone photos were taken of the site to show the state of the excavation and the progress that has been made over the course of the month. The site open day took place on Saturday the 14th. It featured site tours throughout the day by students, an in-depth site tour by lecturer Ash Lenton, and a talk by lecturer Jim Morris on the excavation thus far. Morris’ talk included comparisons between the Ribchester Revisited’s first year and the project as it stands today. 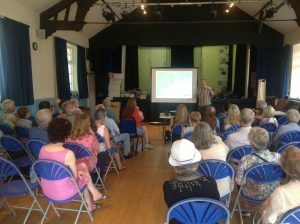 In addition to an informative presentation, locals were able to view some of the finds that have been discovered during the course of the excavation. The diverse array of objects on display included a brooch, beads, a finger ring, and some exquisitely decorated Samian ware pottery found in the north of the trench. This week there has been a mad rush to finish clearing contexts and completing paperwork. In the last few days, post holes, a wicker-lined pit and a drainage ditch for the East-West road have been discovered. The wicker-lined pit in the north of our trench has yielded some truly exciting finds including a carved bone knife handle, a wooden handle for an unidentified tool, bits of Roman glass, and pieces of preserved wood planks and leather. With the archaeologists turning up finds left, right, and centre, our finds team has been working double-time to clean, catalogue, weigh, measure and photograph the finds from this year’s excavation. With this being our second-last year at Ribchester, everyone is keen to finish the season on a good note and leave the trench clean and ready for our final year. From all of our team here at the Ribchester Revisited excavations, thank you to everyone who has made this project possible and to the Ribchester community for welcoming us back so graciously year after year. Here’s to our next and final season!